Minimizing Trajectory Errors: Know Your Conditions! Trajectory errors, whether during or after the validation stage are usually caused by faulty inputs. The three basic inputs needed to get an accurate firing solution include the gun profile, target distance, and air density. This article will cover how to make sure air density is measured correctly and why it matters. Air density literally describes how dense, or thick the air is. The main environmental conditions that affect it are temperature and air pressure. High temperature and low pressure decrease air density, low temps and rising pressure increase it. The short answer on why it matters is air density affects bullet drag and time of flight. How long a bullet takes to get to the target is what a trajectory is all about. The higher the air’s density, the longer the bullet takes to travel a given distance. The longer it takes, the steeper the trajectory must be to offset gravity. No big deal, right? We just enter the temp and pressure values from our Kestrel into the solver and let it go to work. Better yet, we can use a ballistic rangefinder or Kestrel AB that automatically measures and factors air density. It should be that easy–the elevation component of a long-range shot is pure math and science. The problem comes when the actual conditions don’t match what we feed into the solver. The input most likely to be entered incorrectly is air temperature. Like all things long range, the amount of trajectory error will vary according to the distance involved. The biggest concern is when it happens during trajectory validation. I go over this in step #7 of Trajectory Validation: Ten Steps for Success, but it’s worth repeating. The most important temperature measurements you’ll take will be during the truing process. Validating your trajectory sets the foundation for every shot you’ll take later. I recommend validating as close to the transonic range of the load as you can, or even further. Because of this, small errors in inputs quickly add up to big corrections. If you correct during validation because of a faulty temp input, what’s going to happen later when you measure it correctly for a shot? It will save you a lot of headaches if you take the time to get it right while validating. 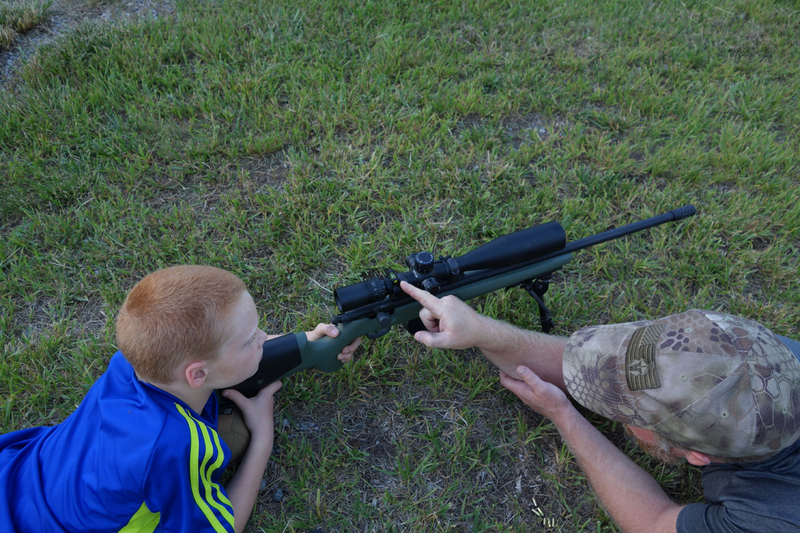 Shots taken at typical long-range hunting distances are relatively forgiving when it comes to precise temp inputs. For shots under 1200 yards, you could probably guess the temperature accurately enough to hit a 1 MOA target with the first shot. I prefer .5 MOA and don’t like to guess, so I measure air temperature all the time. If you’re curious about how much difference a temp input error would make, start pushing buttons on your solver. Here’s an example from mine, showing corrections needed for my 300WM firing a Berger 210-grain VLD at 2950 fps. I’ll show three distances, with three 10-degree increments, using 27.50 inHg station pressure. The MOA corrections are shown in parentheses. There’s a lot of things that will screw up a shot worse than a temp input error at 800 yards. A 20-degree spread is only worth a few inches. At 1200 yards, the same error would cost close to eight inches. The real eye-opener though, is the trajectory at 1680 yards. A five-degree error here is worth more than the 20-degree error at 1200 yards. Most of my hunting takes place under 800 yards, but I practice regularly at distances close to a mile. Good habits developed at extreme ranges will help minimize avoidable mistakes at the closer ones. 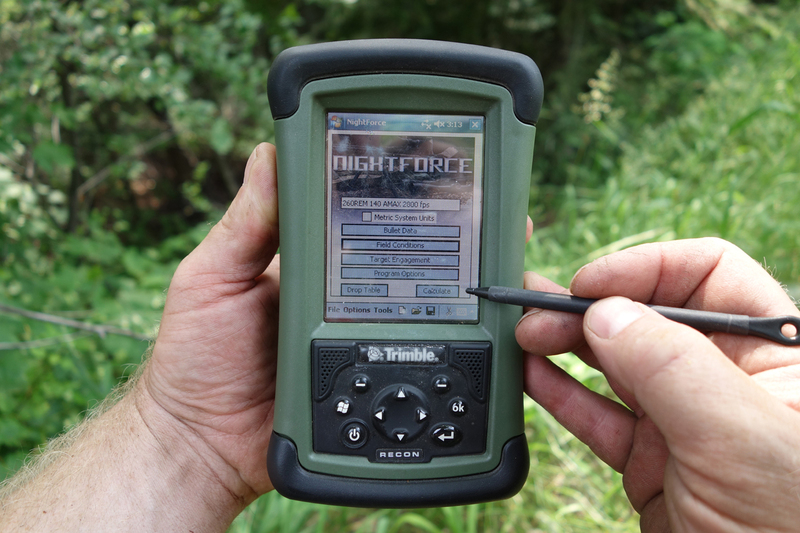 A big part of that includes being familiar with the tools I use to measure conditions. Accurate and consistent air temperature measurements can be taken with a variety of devices. The key is to understand their strengths and weaknesses, and learn how to use them properly. A Kestrel weather meter is what I use most often when measuring environmental conditions. I’ve used and tested quite a few Kestrels, and consider them an essential piece of my gear. Because of their proven accuracy, I also use Kestrels to test rangefinders that can be used for environmental measurements. Those include the Leica 1600-B, Leica Geovid HD-B, and the Gunwerks G7 BR2500. The key difference in how these devices work revolves around how quickly they react to temperature differences. Kestrels are the quickest to react to temp changes, providing instant updates as the air around them heats and cools. That’s good, right? Not necessarily, as it can lead to substantial input errors, especially during trajectory validation. Under certain conditions, I can cause a .5 MOA trajectory error by simply holding a Kestrel in my hand. I’ve also induced substantial trajectory errors by leaving the Kestrel on the ground next to the rifle. They come with a long lanyard, but I attach a short length of cord to my meters for this purpose. Prior to taking the shot, I swing the Kestrel rapidly in the air before reading the temp value. I believe this method provides the most accurate air temperature measurement possible, and it’s repeatable. If I’m using the Kestrel as a measuring device only, I’ll enter the temp value into my ballistic solver. If I’m using my Kestrel Elite or Sportsman as a ballistic solver, I’ll enter the Environment screen and turn the update feature off. This prevents the meter from automatically updating any of the environmental readings shown on that screen. This feature is extremely handy for trajectory validation or waiting for a shot on an animal across the canyon. You can also use this feature to compare trajectories and atmospheric effects with your Kestrel. Be sure to turn the update feature back on and start over if you don’t take the shot right away. It’s a great option on the Kestrel, but can get you in big trouble if you forget that last part! A Kestrel Sportsman with its automatic environmental update feature turned off. Check out this VIDEO for more information and a demonstration on using the update feature. Rangefinders with integrated sensors are less sensitive to slight temperature fluctuations, but come with their own challenges. In my testing, I found the temp sensors used in the rangefinders from Gunwerks and Leica to be accurate. When left in a stable environment long enough, none of them vary by more than a few degrees. But the refresh rate on these devices can cause big trajectory errors if it’s not accounted for. The problem comes when you remove the device from a relatively warm environment and attempt to use it right away in a cold one. Likely examples would be a long drive to your hunting area in a warm pickup, or an all-day stand in a heated blind. Testing the Leica Geovid HD-B with a Kestrel Elite. During my review of the Leica Geovid HD-B, I found it took 25 minutes to register a temp swing of 20 degrees. I tested the G7 BR2500 as well, and noted it took an hour to transition from 69° to 43°. I would conclude that the wider the temp difference, the longer it would take to stabilize. The sensors on these devices aren’t exposed like the Kestrel, and you can’t cool them down by swinging them in the air. The only thing you can do is plan on accommodating that refresh rate. I would get a head start on that by leaving them in the coolest part of my vehicle or blind. That quality also makes these devices insensitive to normal handling. 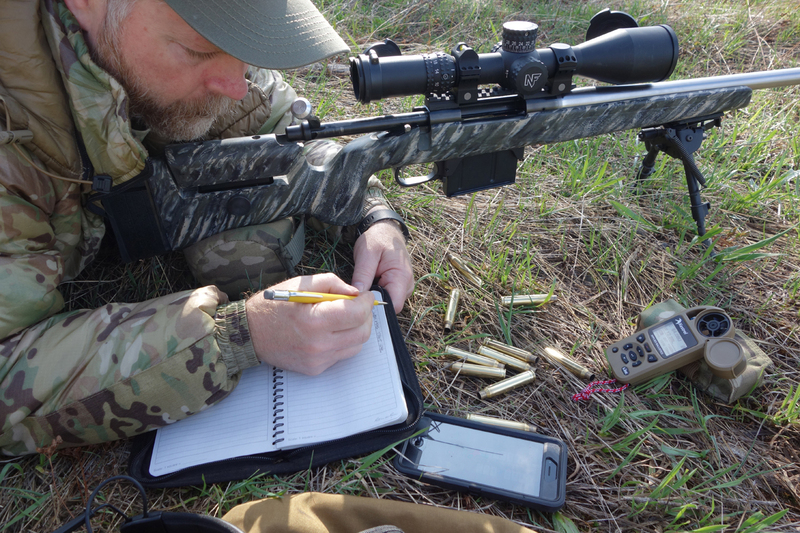 We used the Geovid this spring for long-range varmint hunting. During a period of several hours, the Leica barely changed by a few degrees. The Kestrel Elite hanging below it on the tripod fluctuated up and down constantly as the cloud cover changed. A second Kestrel left in the shade mimicked the Leica. Trajectory errors due to inaccurate air density inputs are easily avoidable. We can’t control conditions, but we can measure and properly account for them. No matter what tool you use to measure air temperature, learn how to use it with consistency and accuracy. Know your conditions; the shot of a lifetime may depend on it. As an Idaho native, avid hunter, and long range shooter, Sam has written numerous articles and gear reviews for various online publications. 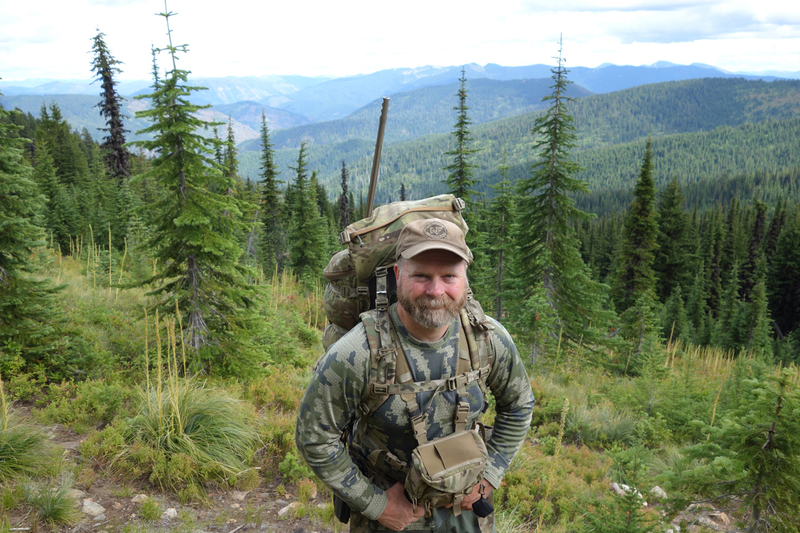 Specializing in long range hunting in the mountains of northern Idaho, Sam founded Panhandle Precision as a way to continue sharing his passions. If I could only keep one brand, it would be Kuiu. They have some real problems sometimes with their supply/distribution, but I really like their gear. The Attack pants, Chugach NX rain jacket, and hooded Kenai jacket are my favorites.